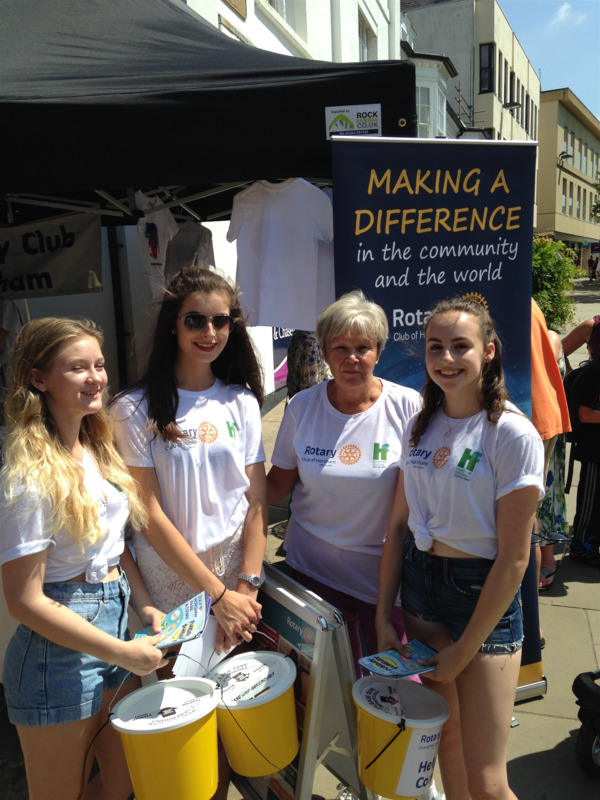 The Rotary Club of Horsham has been serving the community since 1923. 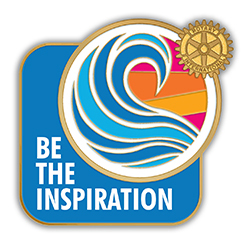 Our members are all ages and from all walks of life – all wanting to make a difference in the community and the world through projects, fundraising and fun events for the whole family. 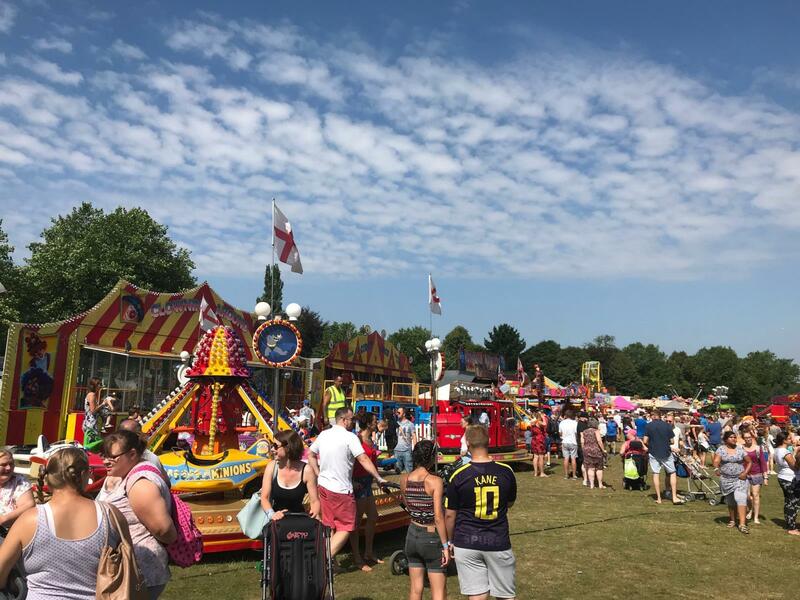 If you would like to give something back to the community and have fun doing it, please click on the Contact Us button or ring us to find out more. 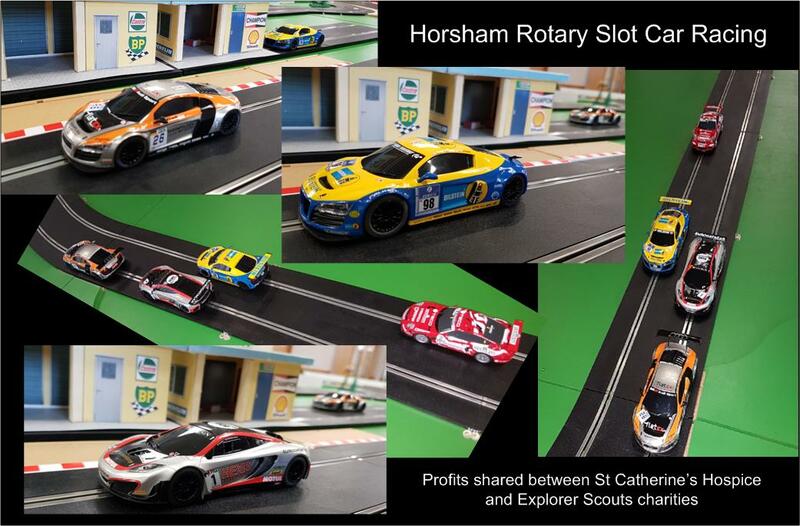 Great fun for all the family and cash prizes for the winners. 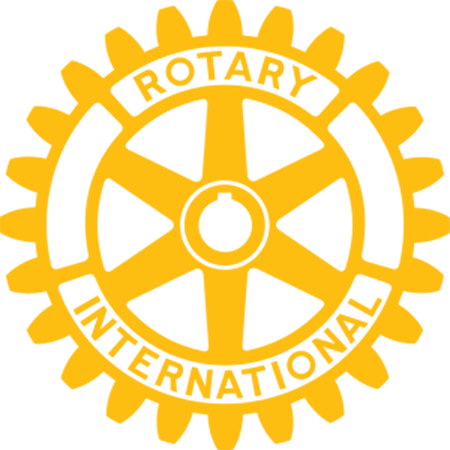 Or are available at all the participating stores, listed on the form. You are invited to have a free blood pressure test on Saturday 27th April, between 9 am and 5 pm at The Swan Walk Shopping Centre. 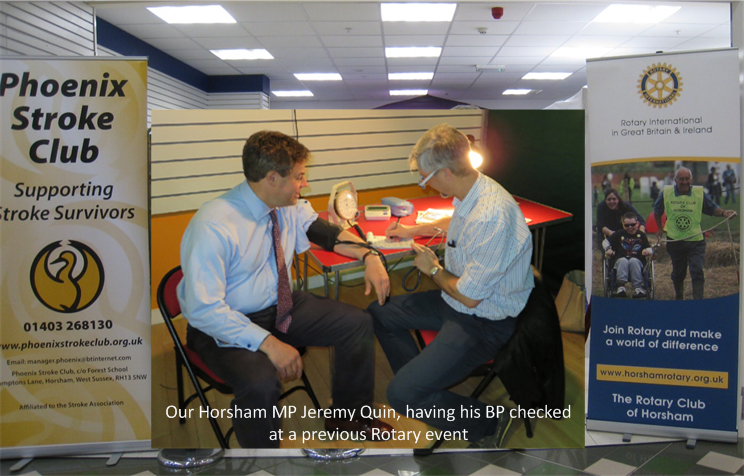 The Stroke Association and Rotary International are inviting residents in Horsham to take a moment to have a free blood pressure test. 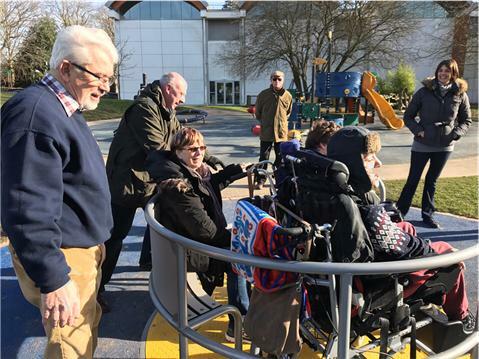 Children from Horsham’s Queen Elizabeth II School were amongst the first to try out Horsham Park’s new roundabout when they met up with officers from Horsham District Council and members of Horsham Rotary Club last week. 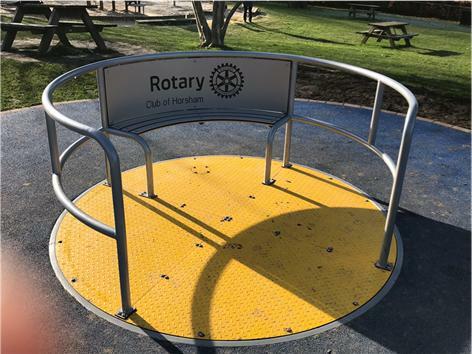 The new inclusive roundabout, installed in the play area behind the Pavilions In The Park Leisure Centre, has been sponsored by Horsham Rotary Club and provides easy wheelchair access so that children of all abilities can play together. 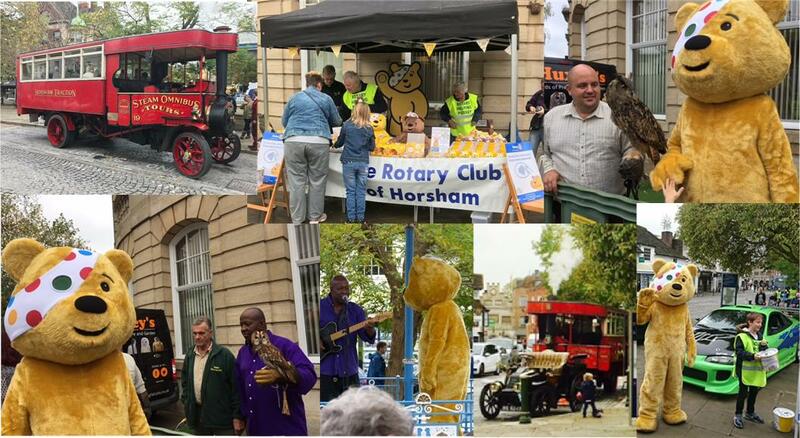 We would like to send a big thank the people of Horsham who came to the Carfax and had some fun during the half term helping us help to help Children in Need. The BBC sent a camera crew along so if you were there on the day make sure you tune in to the BBC Children in Need show on Friday November 17 and you might see yourself on TV. We also need to thank all the contributors who gave up their time to make it such a fun day! 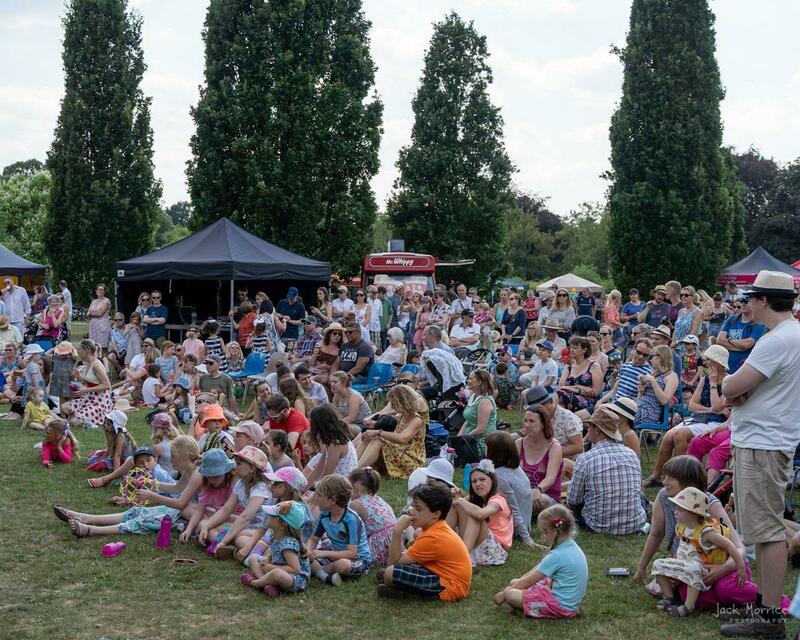 So, a big thank you to Mr Dave Benson Phillips, The Les Searle Group, Huxley’s Birds of Prey, Fast & Furious Collective UK, Benson’s Funfair, Busydays Face painting, Balloons by Kitty and Horsham Markets. 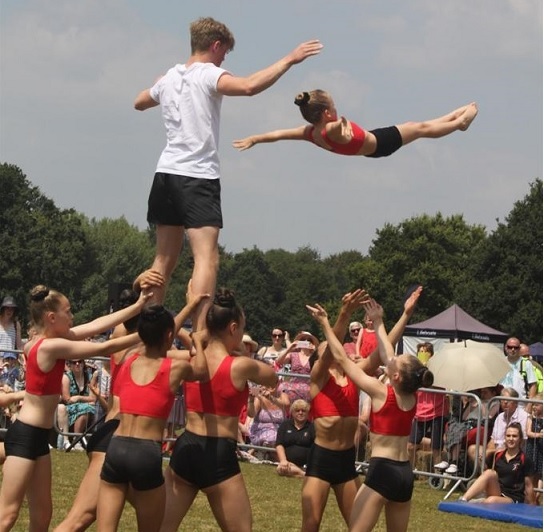 We have raised a large amount of money and we will let you know how much as soon as we have finished this year’s fundraising. 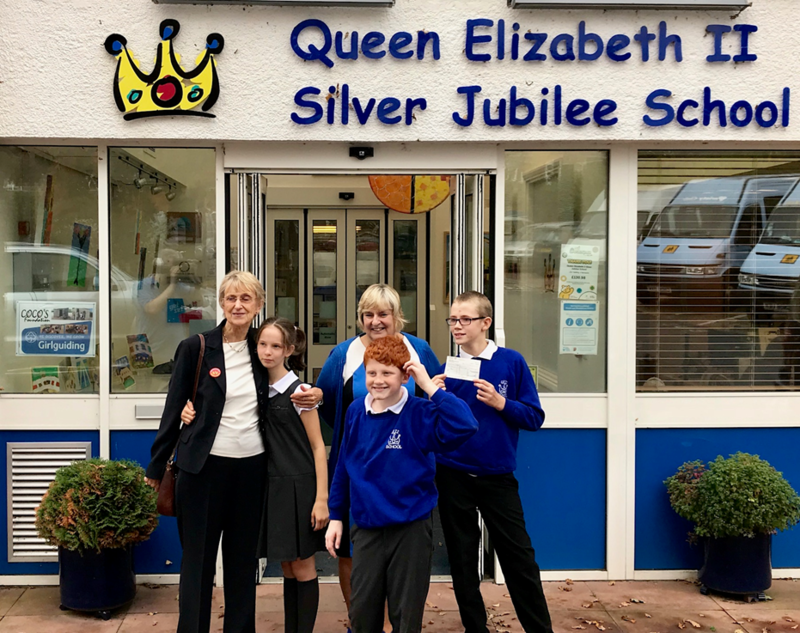 Our Past President, Jean Granger presented a cheque for £2500 to the QEII School on Friday. 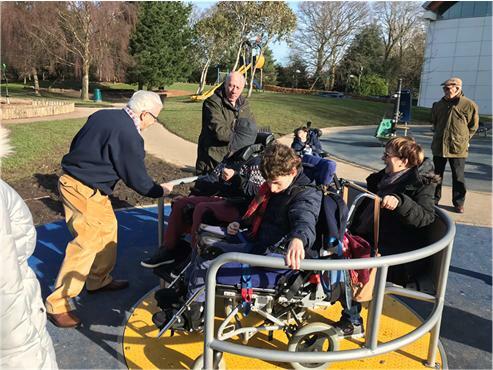 It will be used to purchase a special swing for the Sensory Room that is to undergo a major refurbishment. 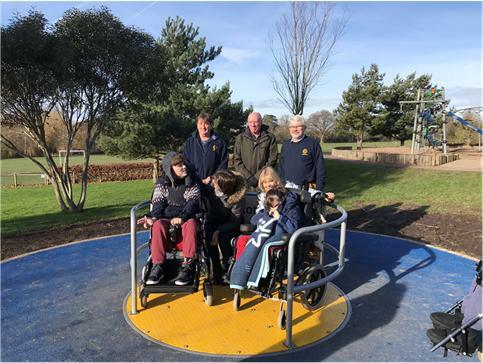 The swing will be used as a calming device enabling pupils who need it to be educated to a higher level.The money comes from funds raised for the President's nominated charity during her term as president.